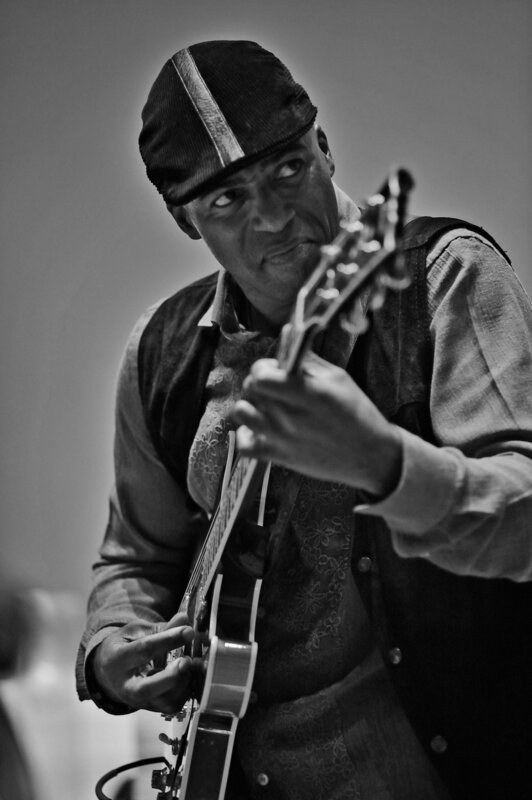 Keith Robinson is a legendary guitarist in the SOUL/FUNK/POP/R&B/GOSPEL/JAZZ genres. 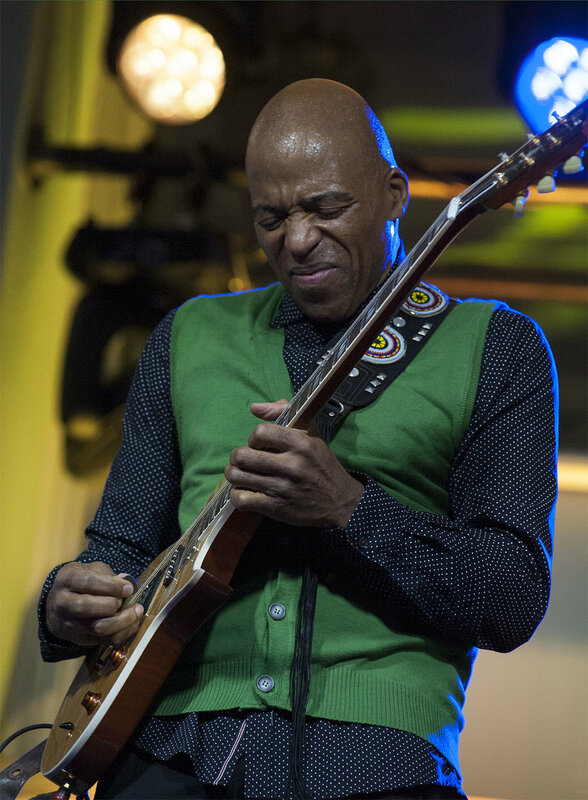 He has played & recorded Lead and Rhythm guitar with some of the following artists: James Brown, Earth Wind & Fire, Beyonce, John Legend, Lenny Kravitz, Baby Face, Buddy Guy, Jeff Beck, Stevie Wonder, Usher, Steve Winwood, Bruce Springsteen, Vanessa Williams, Keith Sweat, Gary Clark Jr, Tracy Chapman, Bonnie Raitt, Carol King, Mavis Staples, Jennifer Hudson, Willie Nelson, John Fogerty, Merle Haggard, Amy Lou Harris, Peter Cincotti, Martina McBride, Patrick Monahan (lead Vocalist for Train), Aloe Blacc, Zedd, Shelia E, Nancy and Ann Wilson (Heart), Sheryl Crow, Garth Brooks, Herbie Hancock, Taylor Dayne, Will I Am, Mary J Blige, Yolanda Adams, Oleda Adams, Shaggy, Valerie Simpson, Ledisi, K D Lang, Diana Krall, James McBride, Dan Aykroyd, Will Downing, Gerlad Albright, Alex Bugnon, BeBe & CeCe Winans, Cheryl Lynn, Kirk Whalum, Patti Austin and more. "As a Berklee College Alumni many opportunities were presented to me throughout my career". Keith has had recording contracts with EMI/CAPITAL RECORDS (Bruce Lundvall), ORPHEUS RECORDS and BRAJO RECORDS: Perfect Love and Peaceful Flight. He has also recorded on Platinum and Grammy nominated CDs. On November 23rd 1994 Keith received a Certificated of Merit for Outstanding Service in the Arts by the Mayor of New Orleans. On January 20th 2009 Keith played for the Inaugural Ceremonies for the 44th President Barack Obama. Keith played guitar on the Kennedy Center Honors 2012 live performance of the Led Zeppelin classic "Stairway To Heaven" featuring Ann and Nancy Wilson which can be purchased on iTunes. On the same TV program he played for the Buddy Guy Tribute featuring Tracy Chapman, Bonnie Raitt, Jeff Beck and others. He then received an Honor for his contribution to the Emmy Award-Winning Program the Kennedy Center Honors 2012-2013 for Outstanding Variety Special. On June 4th 2017 Keith received a Star Award for his Achievements in the Arts from Jackson State University. Keith has made countless appearances on TV shows: Jay Leno, Arsenio Hall, Soul Train, The View, David Letterman Show, Good Morning America, Regis and Kathie Lee, MTV, The Kennedy Center Honors (from 2000 to 2014 as member of the Kennedy Center Orchestra). He is currently on tour with Vanessa Williams and has been a member of her band for over 20 years. Keith is currently working on his debut blues CD honoring the great blues men of the South titled "Innerssippi Blues” featuring Mavis Staples and more. Ann and Nancy Wilson from Heart perform a triumphant "Stairway to Heaven" as a tribute to 2012 Kennedy Center Honorees Led Zeppelin. Keith Robinson received an Emmy Award for his contributions to the Emmy Award-Winning Program, Outstanding Variety Special, The Kennedy Center Honors on CBS. Vanessa Williams performed a medley of her hit “Save The Best For Last” and the classic “What Child Is This” at VH1 Divas Holiday: Unsilent Night, December 2016 NYC. Buddy Guy performs "I'm Your Hoochie Coochie Man" at the Kennedy Center Honors 2013 in Tribute of Carlos Santana. Beth Hart and jeff Beck live at the Kennedy Center Honors 2012 to honor Buddy Guy. January 20th 2009, Inaugural Ceremony for 44th President Elected Barack Obama. Peter Cincotti - Goodbye Philadelphia. - Traducida en español. Singer, Dancer, Actress, & Songwriter Vanessa L. Williams performs the hit remake from her debut album "Comfort Zone" on Keenen. Written and Produced by Keith Robinson. All Additional Instruments by Keith Robinson: Vocals, Acoustic Guitar, Electric Guitar, Bass Guitar, Drums. Recorded at KRMP Studio New Haven, CT.1998 Brajo Records.